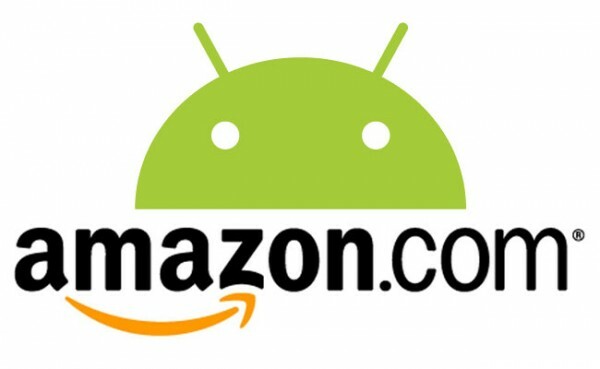 Shift Jelly decided to inquire about Amazon’s Free App of the Day program, hoping to launch their app into the spotlight. When they heard back from Amazon, everything was lining up, except for a single line in a return email that made it more-than-clear that they would not be receiving any money on the day that their app was featured as free. In fact, in bold it said, “The current price of this placement is at 0% rev share for that one day you are placed.” So for that one day, Shift Jelly’s app would not make any money no matter how many copies were downloaded. You all with me? Wondering why they would not receive the 20% that was included in the original developer agreement, SJ responded back asking to receive what they had originally agreed to. Amazon fired back saying that since they would not receive money, neither would SJ, but that with the “highly valuable” front page placement for the following 14 days, they would certainly make a ton of money. So to recap quickly, we have the following: 1. Amazon told them in bold (more than once) that they would receive nothing. 2. SJ asked for 20% and Amazon responded again telling them that they would receive nothing except prime placement on their front page for 14 days. What did SJ decide? To go forward with it, knowing that they would make nothing on the day that their app was free. When the day came that their app was featured, 101,491 people downloaded their app. And just as they agreed to, received nothing in exchange except a prime spot on Amazon’s page for the next two weeks. So what’s all this “rotten” fuss about? We’re still trying to figure that out. We’re thinking the shock of seeing that his app normally would have made $54,805 had he been paid for those 101K downloads was what got this all started. Sure, that number is jaw-dropping as hell, but when you agree to not receive anything, how can you get that mad? In a world of sales that’s built on negotiations, I’m just wondering what the hell this guy was thinking. And alongside this revelation that he would not receive any amount of that $54K, he also now had to invest money into more servers for his app since he now had over 100,000 people using it. So not only did he receive nothing but a bunch of downloads, he also now has extra costs thanks to this promo. But what about his 14-day prime placement? Didn’t that kick start the money-making engine and even all of this out? Apparently not. Since his day as the free app, his download numbers haven’t been impressive, leading again, to this “rotten” post that is making its way all over the internet. I’ll just end this with a couple of thoughts. Anyone ever heard of Groupon? They do something in a similar fashion. When you are featured as their deal of the day, they initially try to get you to absorb all of the cost of whatever the deal is. What I mean by that is, let’s say they sell coupons for $10 worth of goods at your store, but only charge $5 for it. Ok, so Groupon will approach you asking for all $5 (or 100%, or 0% rev share to you), but tell you that with all of the new customers headed your way, along with the fact that people normally spend more than the $10, you will come out on top in the end. Smart business owners examine the heck out of that deal and then re-negotiate at least some sort of revenue sharing because they realize that they can’t absorb that huge of a hit. So in the case of Shift Jelly, I’m just wondering again, what the hell were they thinking? Sure, the developer’s agreement stated 20%, but when Amazon insisted that they were going to receive 0%, why not turn the deal down? Wouldn’t you already know that you would be taking a huge hit and also putting your server structure under a lot of stress? If you couldn’t at least get 5-10% and have Amazon meet you in the middle, why not walk away? Now, with that rant over, I’ll just say that this isn’t the first time we have heard bad things about the Amazon Appstore. They price your apps however they want, won’t let you remove them, update them slower than molasses, and basically own you if you have an app placed with them. So while I feel bad that SJ feels like they got ripped off, we can at least use this as an educational piece for future developers who are looking to be the Free App of the Day. Just like Groupon and other coupon sites, giving your products away for nothing isn’t always a winning situation. You can read the entire story from this developer at their Shift Jelly blog.